Bicentennial Park is situated by the lake, off Lakeside Avenue by the pondage. Equipped with toilets, electric BBQs, seating and parking. It is located near the Library, Skate Park, BMX track, and childcare center. There is a lovely playground too, with climbers, clatter bridge, slide, swing and see-saw. Its such a beautiful spot for the whole family to relax and enjoy. Located opposite the caravan park in beautiful Tawonga there is a picnic area. Enjoy a bbq (electric) sit back and relax, take in the magnificent scenery or throw in a line and catch yourself dinner. 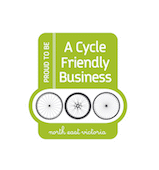 Bogong Village is a beautiful place to visit or stay, nestled in the foothills of the Victorian Alps, halfway between Mount Beauty and Falls Creek. There is a lovely picnic area in Bogong Village at Lake Guy, complete with electric barbeques for your convienience. A perfect place to unwind and relax. 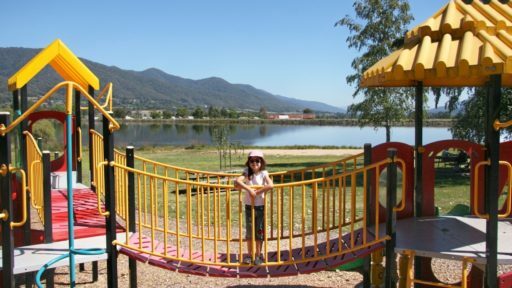 Situated off Cooper Street Reserve, the playground is near tennis courts, toilets, seating and is close to shops. The park has climbers, spring rocket and slide. 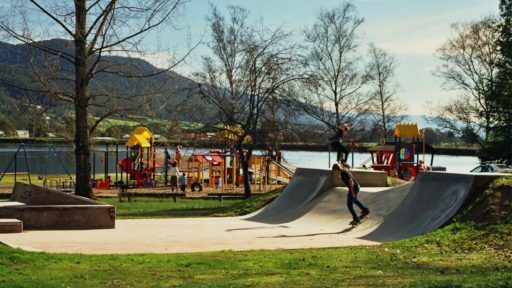 Mount Beauty skateboard park and BMX track is located just off Lakeside Avenue by the pondage barbeque area - next to the Library, child care centre and Mount Beauty sports ground. Complete with ramps, half pipes and rails the skate park is sure to please even the most experienced skater whilst the BMX track is sure to please any BMX enthusiast. With toilet facilities, barbeques, seating, parking and a playground all within a stones throw away there is something for everyone nearby. Great for a days activity.